Wives I am asking you to give me a chance and listen to God’s heart beat in this message. I understand a lot of marriages are lacking communication, connection and closeness. Some of this is due to not understanding the male and female love language, some of this has to due with a lack of understanding of our roles in a biblical marriage and some of it has to do with not recognizing intruders that have entered into the marriage covenant and some of it is due to not taking the time to talk and invest in having a great marriage. This is such a sensitive subject to talk about because there are no two marriages alike. I know there are always 2 sides to every story, but 2 wrongs do not make it right either. I am called to women, not men, so wives, I will be talking to you only. I will be encouraging you to play your role even if your husband is not playing his. I know how frustrating and exhausting this can be but you are asking for closeness, connection and to be cherished in your marriage, someone has to be willing to be uncomfortable to make your marriage like God has ordained it and really, God is asking that to be you. God said, your husband can be won over by your conduct. I will share the scripture with you before I end this blog post. I am only talking to Christian women who believes in biblical marriage, trust me, I am not there yet but my aim and my goal is to live a Christ centered marriage and do it God’s way and not the worlds way. Like a fish out of water my flesh flip and flop sometimes as well. Ladies before I get into this topic, my only goal is to partner with God to see the marriage covenant restored and to see wives feeling connected to her own husband. I am only advocating healthy biblical submissiveness. I am not advocating a husband usurping his authority in a harmful abusive way. I have an honest heartfelt confession, I am in love with my own husband, I am happy with my husband and I am happy in my marriage, even with that being said, we still need to address things that comes up in our marriage that needs to be discussed. One does not have a great marriage through avoidance, you have to talk about the issues that is on your heart. You can not hide things in your heart and expect to have a good marriage. I am so grateful to have my husband in my life. God has blessed me with an amazing man. He is not perfect and guess what? Neither am I, but that does not take from the fact that he is amazing! And it is not because he makes me happy all of the time. I have decided that I am going to be happy in my life period. Do I have things that comes up that wants me to lose my joy? Yes I do, and sometimes I have to remind myself, this is not that serious, do not lose your joy over this and it is a constant reminder. I have decided that my happiness is not based in if my husband do everything right to make me happy. That is to much pressure for one person. I have made many mistakes in my marriage. After 17 years of being married to my husband, I have learned a lot and will be learning until Jesus come back. So I am setting my fears aside so I can help the wife who will listen. Some of the things I share with you, you probably are not going to agree with, but I can not run any longer about discussing real issues that are happening in marriages today. If I am going to partner with God to see wives restored in their heart and their marriages, I have to deal with truth as it is shown to me in my heart. This is the take on marriage that God has given me to share. I will expose the works of darkness as God downloads it in my spirt. I absolutely love the marriage union and I know God loves it as well. As I have listen to God minister to me about marriage, I realized that I had some very wrong distorted views about marriage. Our husbands are very different from one another and what my husband needs most, your husband my not even care about, so I will admonish you to get to know your own husband, and do not base what your husband do against what someone else’s husband does. But what I hope to help you with today is 15 things that every wife can do to win the heart of her own husband. I can tell when a woman is not satisfied or content in her marriage or with herself, because she is always seeking outside of her marriage and herself for attention and conversation from someone else’s husband or to get notice by other men that is not her husband. She tries to fill up her emptiness with shopping, working, giving all of her attention to her children, volunteering and just plain avoidance. She does not want to deal with the real issues that are going on in her heart and her marriage. I agree with you, you should not leave this earth unfulfilled in your marriage. That is why you have to do everything with in your power to fight for the connection with your very own spouse, so if God forbids, if it falls apart, it is not because you did not give your all to your marriage. Wives fight for connection from your own husband, seek attention from the one you chose to marry, any attention outside of that is a counterfeit replacement of the real and true love you could be experiencing from your own spouse. Now like I said, this blog post is not for every married woman, you might not agree with some of the things that I share with you. This blog post is only for the married women who is NOT dealing with mental and physical abuse, cheating, drugs, alcohol and gambling addiction. If you are dealing with these issue, serious counseling is what you need because you my beautiful sister have to make choices that is going to keep you safe inside and out. There is not one marriage that is perfect on the earth because there are no two people that are perfect. But marriage can be amazing if you are tuned in to your own marriage and not comparing your marriage to anyone else’s and if you can try to love and give your husband lots of grace, forgiveness, compassion and always focusing on his good qualities. I know communication can be hard in a marriage sometimes because in marriage one of you is either the confronter and the other person is usually the one who runs away from confrontation. But then again, you can have two people in a marriage that never confronts the issues that is going on in their marriage, therefore, making it very hard to talk about issues that needs to addressed in marriage. I want to encourage wives not to shut down because you feel like your are not getting any real results. I want to encourage wives not to throw in the towel and walk away. I want to encourage wives not to grow bitter inside and hold unforgiveness towards their husband because you are feeling unappreciated, unfulfilled, neglected and unloved. What I am going to encourage you to do is keep talking to your husband until you are heard, keep confronting intruders until they are destroyed, stay in prayer for your husband, your marriage and your family and keep fighting for a amazing marriage. Make sure that you have done your part to ensure that you have a godly covenant before God and your husband. I do not proclaim to have all the answers, nor am I a marriage counselor. But sometimes it will take you going to a professional counselor to talk through the issue in your marriage. I would recommend a trusted Christian Counselor or Pastor. I think some wives forgot how to make themselves happy, perhaps you have never been truly happy within yourself, especially if you never been single long enough to enjoy your own company. Some women always needed someone in their life to complete them. 1. Down right disrespect and your husband acting like he does not have a commitment to your marriage by spending quality time with you and investing the time and attention that it takes to have a close healthy godly marriage. 2. You learning to enjoy your own company in the absence of your husband. There should always be sweet fellowship between the two of you, a coming back together to talk about your day and to reconnect emotionally, physically and spiritually. You should never allow anyone who claims to love you and have a covenant with you to get away with living a sloppy married life. Marriage is an investment and you are worth the investment it takes to ensure you have a respectful loving Godly covenant where the both of you are reaping the full benefits of your covenant. What hurts my heart more than anything is to see a woman in her marriage covenant feeling lonely, helpless, defeated, cheated on, disrespected, afraid to speak up for herself and feeling like she is not valued in her marriage……. Feeling like she can’t take care of her self, feeling trapped, devalued, not beautiful, not beneficial, feeling like she is not an equal partner with her husband and not knowing her covenant rights in her marriage. I want to warn you against intruders, intruders are things, people and schedules that wants to replace true devotion with your spouse, with false devotions. Intruders can creep in and still your covenant, your time and your marriage if your are not in tuned with the Holy Spirit. Intruders never know the value of a godly covenant. They come in disguises, they come in things that seems important. Intruders also wants you to be intimidated by them and they want you to keep it uncover. Intruders never want you to confront them or call them out on their undercover behavior. Intruders are working to many long hours, always volunteering to many long hours to a worthy cause, social media, lustful under cover seducing women and men proverbs 9:13-18 has a lot to say about this. Intruders can come in through always shopping, gambling, people pleasing and addictions of every kind. Intruders comes in being to involved with what the children have going on more than pouring back into your husband. Intruders comes in through spending long hours in the gym, more than you are spending time at home. Intruders comes in by watching to much sports and reality TV, and spending to much time with your extended family rather than your own husband. The Bible clearly states that we are to leave and cleave. So we have to keep addressing issues in our marriages that are trying to keep us from investing into our marriage, things that are creeping in and trying to destroy the marriage covenant. We have to keep talking and fighting for our marriage because there are so many things that are calling for our attention and trying to lure us away from our marriages. I want wives to know that you have a lot of influence in your marriage. You can use that influence for good or you can use that influence to tare down your home and marriage. The bible has a lot to say about the influence of a wife. Down below I listed some. Adulterous woman does not ponder the path of life; her ways are unstable, she does not know it. The foolish woman is loud, undisciplined, and without knowledge. Proverbs 7:11 She is boisterous and rebellious, her feet do not remain at home; Proverbs 21:19 It is better to dwell in the wilderness, than with a contentious and an angry woman. Proverbs 12:4 A virtuous woman is a crown to her husband: but she that makes ashamed is like rottenness in his bones. Proverbs 25:24 It is better to dwell in the corner of the housetop, than with a brawling woman in a wide house. Proverbs 27:15,16 A continual dropping in a very rainy day and a contentious woman are alike. Proverbs 15:17 ISV A vegetarian meal served with love is better than a big, thick steak with a plateful of animosity. Proverbs 17:1 Better is a dry morsel, and quietness therewith, than a house full of feasting with strife. Wives it will never benefit you to give the silent treatment to your husband, nor talking to him unkindly, sarcastic, talking down to him and being disrespectful to your husband. The only results it will yield is to push your husband farther away from you and towards intruders. Now I do believe there is a time for silence when the conversation is heated and emotions are high, a time out break is needed until you can come back together and talk maturely. I have been married going on 17 years and I am still learning what works and what do not work for my marriage. I know it takes two people to make the marriage work. It can be very easy to check out on your marriage if you feel like you have been the one during all the work to keep your marriage together. I want to present to you the biblical way of loving your husband. Wives, you have to take your emotions out of the situations. I do understand God created you as the weaker vessel. I know your feeling can get hurt easily. I know wives try to give their all to keep the connection with their husband but I am going to encourage you to try even harder than you’ve been trying. Push yourself more than you have ever pushed yourself before. Yes, I am asking you to set aside all that you think you know and pick up a biblical perspective in loving your husband. I am asking you to set your feeling aside and your emotions aside and fight for the connection with your husband. I want you to ask yourself could it be me and not him, matter of fact, I want you to do everything in your power to serve him from your heart. Do it to the glory of God and allow God to reward you. If your husband give you praise let it be a bonus on top of the praise that God has already given you. Just tell your husband thank you. It pleases the Lord that you are loving on his son. Do not look to your husband to give you validation, because you will give up if you do not see quick results. I want you to have a happy attitude while serving your husband, I want you to do it like you would if someone was giving you 5,000 dollars for doing a good job. Guard your heart against complaining. Serve your husband to the glory of God because this is your first ministry. You are his help mate. 1. a companion and helper. I don’t know if you actually knew what you signed up for when you said your marriage vowels to him but lets delve even further. 1. a person or animal with whom one spends a lot of time or with whom one travels. “his traveling companion” synonyms: friend, sidekick, confidant, pal, chum, buddy, mate and peeps. 2. one of a pair of things intended to complement or match each other. synonyms: complement, counterpart, twin, match; I do know you probably have a lot of responsibility on your plate like the kids, a job, the home, your relationship with God, your friends, maybe taking care of a family member, your volunteer work and then your husband. He was never meant to be last but he was always meant to be first after your relationship with God and taking care of yourself physically, emotionally and spiritually so you can give out to everyone else, your husband is one of the most important person in your life and he should be treated as such. Even if you feel like he is not during his part. Since you agreed to be his wife, you agreed to help him in any capacity he needs you to help him in. You are called to aid and assist him regularly, you are called to spend a lot of to time with him being his friend. You are called to travel with him, you are called to be his companion, his buddy, his pal. You are called to complement him or match him. You are called to be his peeps, twin, counterpart, chum and his mate. Now these are just dictionary definitions of some of the things you signed up for when you agreed to be his wife. The Bible has so much more to say about your role as his wife. When you agreed to marry him, your body became his and his body became yours. You are called to give him pleasure sexually when ever he needs it. There is something about knowing that a person really and truly love you, it is very hard to ignore it. So ask yourself have you been murmuring and complaining and shutting down and being bitter and having unforgiveness towards your husband because he is not taking care of you and not meeting your needs the way you need him to. Have you really been giving your all in your marriage. I am not trying to set your feelings aside, I just want you to evaluate your actions as well. Ok wives, I am talking to myself as well. If you do have an agenda God has called you to, make sure your husband is taken care of first. Prove to him that he is number one. Biblically you are called to assist him first. I know it sounds unfair but that is how it is done in the kingdom. This is not to make wives feel guilty, we all fall short and none of us are perfect, but we are asking for more in our marriages, are we giving more as well? Have we as wives neglected our God given responsibilities to our husband and replace them with everyone else needs and concerns first? Have we put our own agendas and others agenda before our husband’s? Are we becoming bitter, complaining and getting angry at them about being their wife and the role we are suppose to be playing in their life? Are they really first in our lives like we want to believe that they are? We are called to assist them in what ever they need assistance in. 1 Peter 3:1-5 – Likewise, ye wives, [be] in subjection to your own husbands; that, if any obey not the word, they also may without the word be won by the conversation of the wives; While they behold your chaste conversation [coupled] with fear. But [let it be] the hidden man of the heart, in that which is not corruptible, [even the ornament] of a meek and quiet spirit, which is in the sight of God of great price. This scripture is telling you do this for your own husband and not someone else’s husband. Don’t find some other man more fascinating than your own husband. Some women would compliment someone else’s husband but not their own. It is not your business to try and get to know someone else’s husband or be curious about what he does. Be curious about your own husband find out more about him. The Bible talks about the simple minded woman, she seeks attention from someone else’s husband. She goes about trying to lure men that she do not have a covenant with. What she is really doing is committing adultery in her heart. I noticed that the scripture up top says be in subjection to your own husband. Even if your husband is not giving you the attention that you need stay loyal in your heart before God. I don’t know all that you have been going through in your marriage and I know it can be very scary to let your guards down and become very vulnerable to your husband. But I am asking you to fight for your marriage. I am asking you to put your emotions and your feeling aside and open your self up to loving your husband again, just like Jesus loves you when you constantly mess up or fall short with him. I am asking you to give your husband lots of grace and forgiveness. I am going to share ways you can win the heart of your husband. I am going to ask you to be patient with the process before you see any results. You might see your husband heart turn in a week or you might not see your husband heart turn towards you for months. You are not perfect and you might mess up, get frustrated, and want to throw in the towel. When you do, just ask God for forgiveness and apologize to your husband for they way you disrespected him. Serve your husband like you were serving King Jesus. The Bible says, “let him who wants to be the greatest, let him become your servant and whoever wants to be first be your slave.” Well wives, I know we can feel like we are slaves and maids sometimes. But when you shift your mind to serving your husband because it is your 1st ministry, and serve your husband like you are serving in your own personal ministry, your children, your job because your name is out there and you put your heart into it because you want it to go well, and you do not want to look bad, and you want to serve the people God has called you to and you want God to be proud of you, is the same way you should put your heart and soul into serving your husband. Sometimes this ministry don’t come with accolades and sometimes you may feel like you are getting the short end of the stick but I am a true believer that if you be diligent and do it to the glory of God. God will reward you and make sure you are well taken care of. I want to bring special attention to why am I asking you to serve your husband like you are serving Jesus. Because in 1 Peter 3:1-5 it reads, Likewise, ye wives, [be] in subjection to your own husbands; that, if any obey not the word, they also may without the word be won by the conversation of the wives; While they behold your chaste conversation [coupled] with fear. God is saying just by you obeying and following the word of God, by speaking kindly to him, putting him first, being very respectful to him, loving on him, encouraging him, assisting him and serving him. Your husband is going to be won over to you by your good conduct. So let me share 15 things wives can do to win the heart of her own husband. Respect him, Respect is huge for men, they thrive off of it. Talk kindly to him. I know sometimes husband are not as sensitive as they should be but talk kindly to him, instead of leashing back out to hurt his feeling, men are more frail than you think and can shut down after being disrespected. Be his friend, sit down and watch the game with him, get to know the things he like and do them with him often, spend time with him just running errands. Men love for their wives to hang out with them and spend time with him. Be willing to do what he ask of you without murmuring and complaining. Have a good attitude while serving him. Assist him in what ever he needs assistant in if it is not going to cause you to sin. All men do not require this, but be willing to cook him a good meal and serve it to him, it makes him feel taken care of. If he is the one during the cooking, then fix him a plate and serve it to him. Forgive him often and give him lots of grace. Compliment him and encourage him especially in front of others, always find something good to say about him. Tell him how proud you are to be married to him. Try not to speak negatively about your husband to no one. Smile at him often, let him know that you are happy, your husband would try to keep that smile on your face. Date your husband, keep things exciting and creative. Don’t wait for him to be creative, you do it. Make passionate love to him often, all the time, as much as he likes it. Do not correct him in front of the kids. Keep your appearance up and smell good for him. Be grateful. Tell him thank you, often, for the nice things you see him do. Pray for him all the time. Treat him like a King and help make life easy for him in anyway you can. I know this seems like a lot but God’s grace is sufficient for you, take it one step at a time. What is one thing you can do today that would bring the connection between you and your husband closer together? 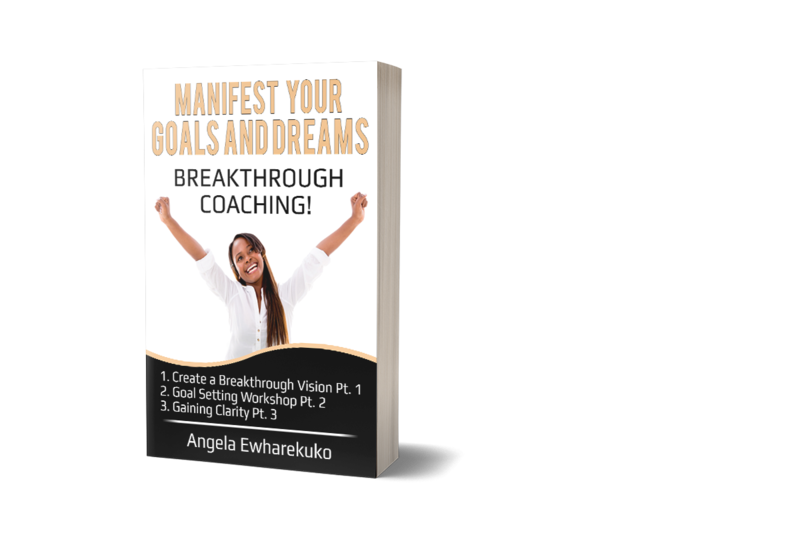 Would love to hear from you, so leave a comment, like and subscribe to Breakthrough Blog 4 Women. Follow me on Instagram and follow me on my social media links down below. Beautiful Words! I really was touched by your words about intruders in your relationship! Some things in our lives can be so subtle and before we realize it; its taken priority over what is important! Thank you Dorothy for your kind words. You are so right, sometimes our life is on auto pilot, and if we are just doing life and haven’t stop to reconnect to God and our spouse, we can miss when the Holy Spirit is prompting us or trying to show us important information that needs to be addressed, in our relationships, and actually address it, don;t discredit that prompting even if we are wrong, at least we had a conversation about it, it can save you from intruders and prevent intruders from entering in.